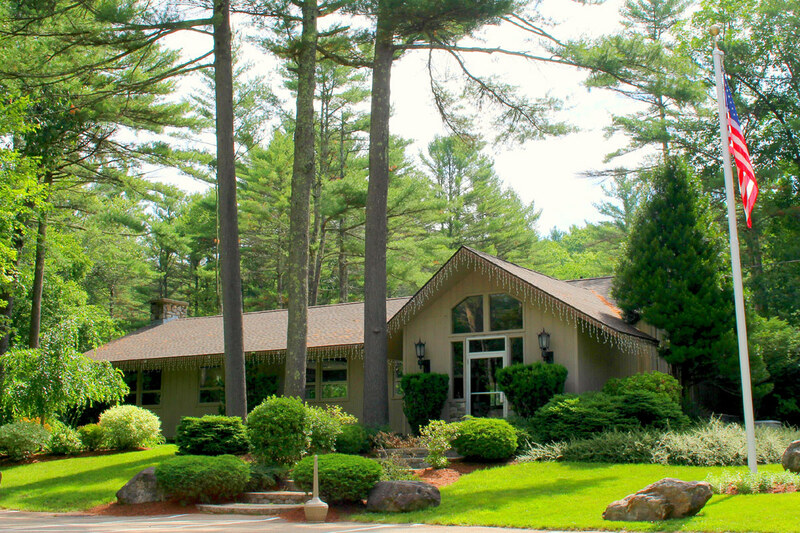 Pine Acres Family Camping Resort offers the finest in 5-star rated resort camping with a full complement of amenities. 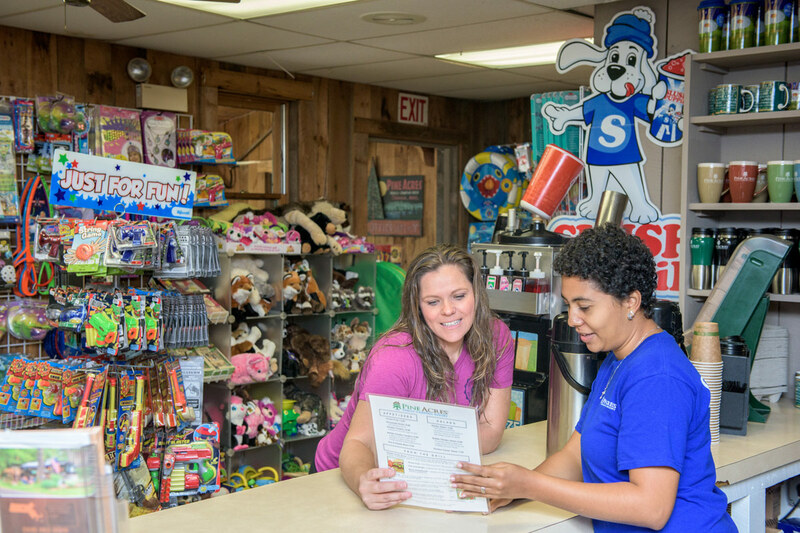 Please note that the Family Arcade and the Country Store & Cafe are open on weekends only during our Spring and Fall Value Seasons and seven days a week during July and August. The Pine Acres Lodge hosts a family redemption arcade on the first floor. The second floor is home to an adult bar & lounge and a large special-events function room. The Arcade includes all the latest in video arcade games, skee-ball and a billiards table. A large selection of redemption prizes are also available! Pine Acres Country Store & Cafe offers convenience and grocery items, novelties, clothing and more! The Cafe menu has a choice for each member of your camping family! You won’t want to miss the amazing scoop ice cream (seasonal), locally made! Movie rentals are also available here (deposit required). Uncle John’s Bait Shop & Rental Marina stocks all your fishing needs, including live bait and pole rentals! 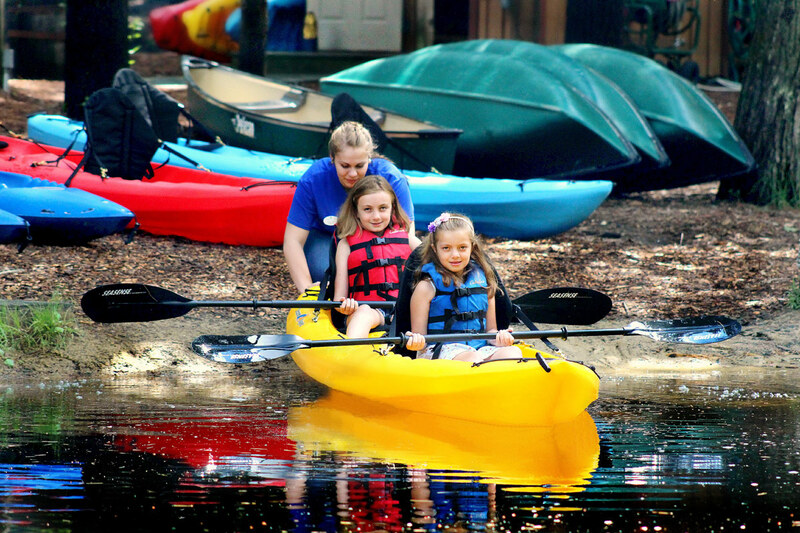 Our fleet of boat rentals includes row boats, canoes, single & double kayaks, paddleboats and paddleboards. Other rental options including our four-wheel pedal karts and rental bikes are also available! 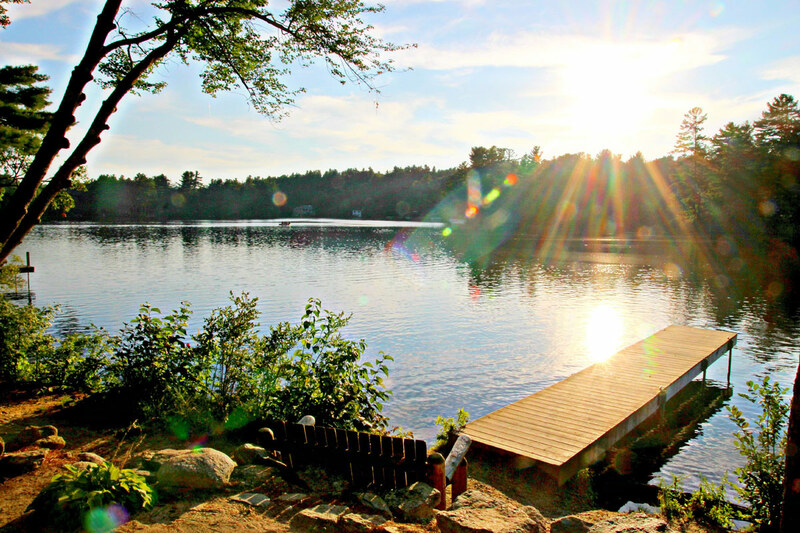 Enjoy family picnics and idyllic sunsets over the lake from our manicured waterfront park. Or you may choose to play a game of volleyball or fish from our docks. 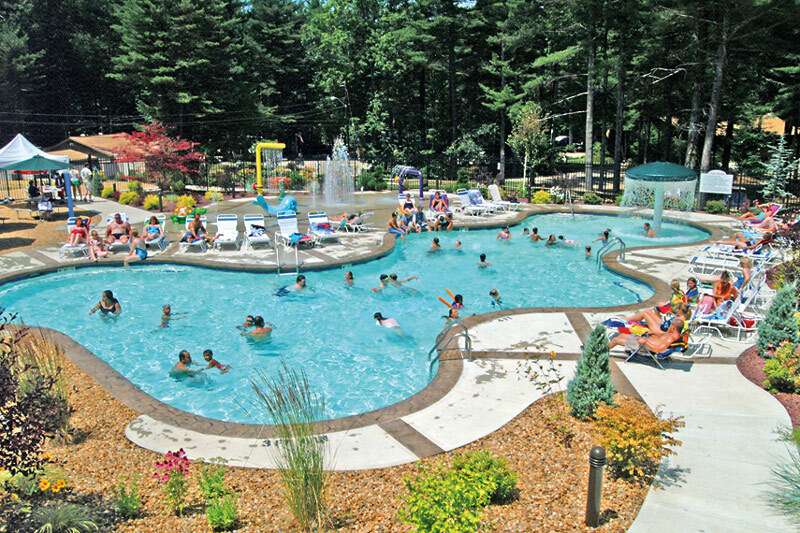 Cool off in our unique resort swimming pool, heated to a comfortable 80 degrees, or relax in the adult hot tub while the kids have fun playing in the splashpark! Our three beaches all offer something special! 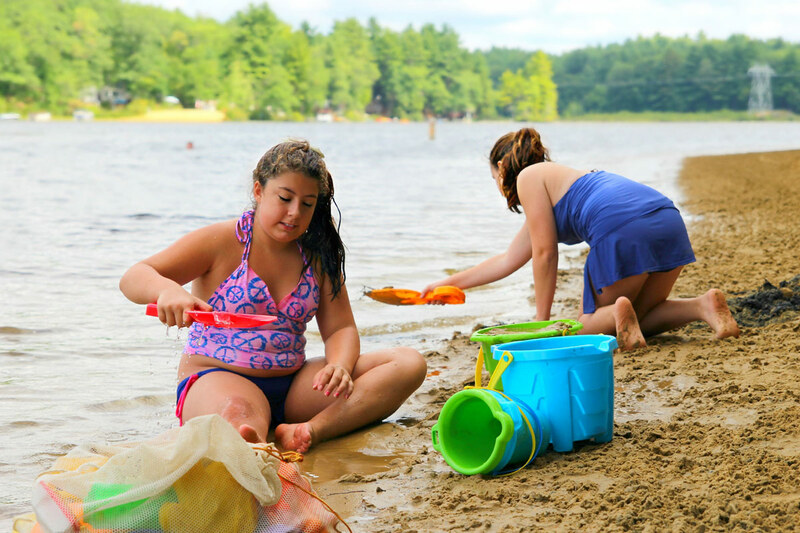 Visit the main beach area for swimming or strolling along the beach walk, bring Fido to the pet beach or cast for a bass at the fish & ski beach! 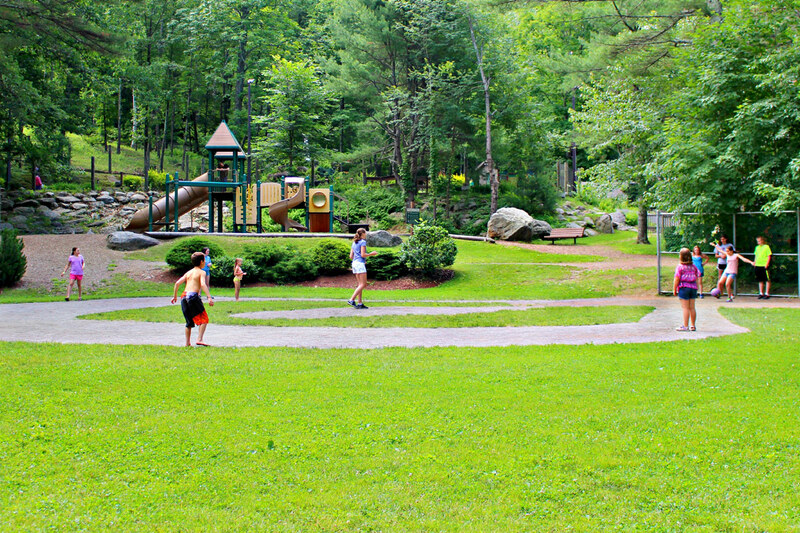 For those families seeking a more active vacation experience, we invite you to take advantage of our recreation sports. Organized sports also appear frequently on our planned activity schedules! 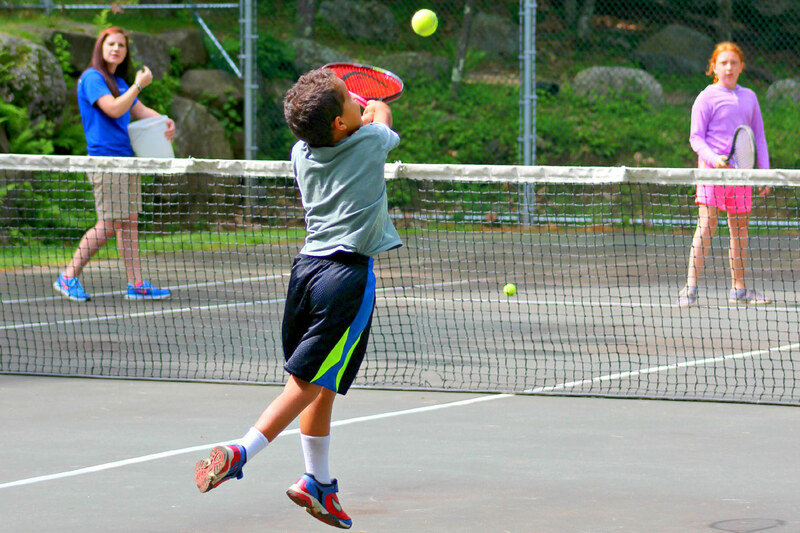 Play a match on our tennis court. Our tennis and basketball courts are lit in the evening to extend your playing time!! 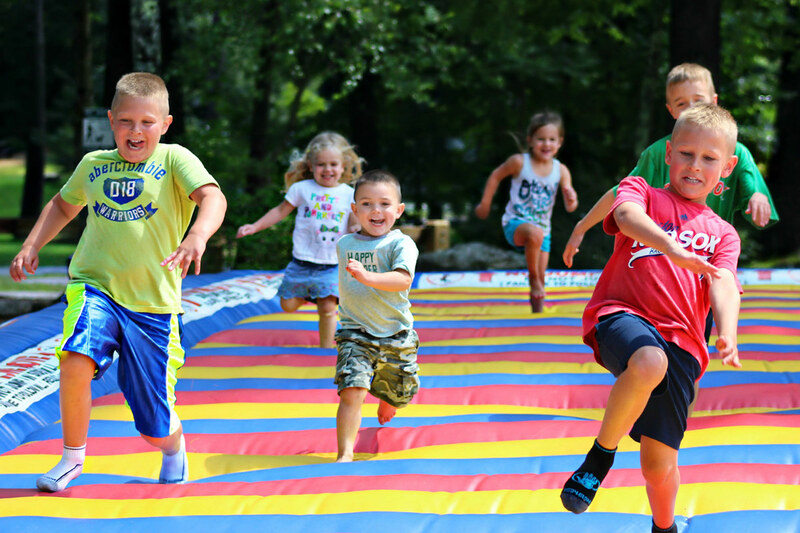 Jump into the fun on our oversized jumping pad! 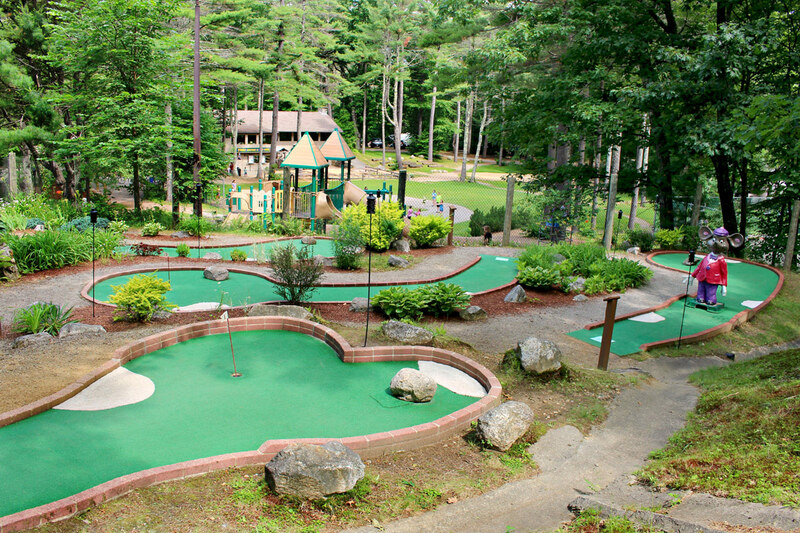 Check out our par-three, 9-hole manicured, miniature golf course. 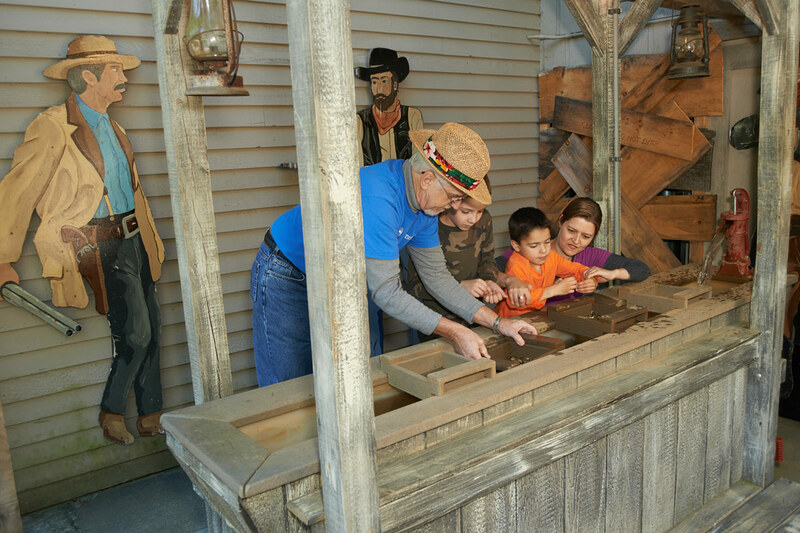 Step back in time at the Pine Acres Gem Mining Sluice, where you can pan for fossils, gems and more! Play wiffleball or kickball on our ballfield (1/2 scale), or pick up a game of horseshoes on one of the three pits! Chose from one of two volleyball courts (one beachside) or take in our basketball courts! 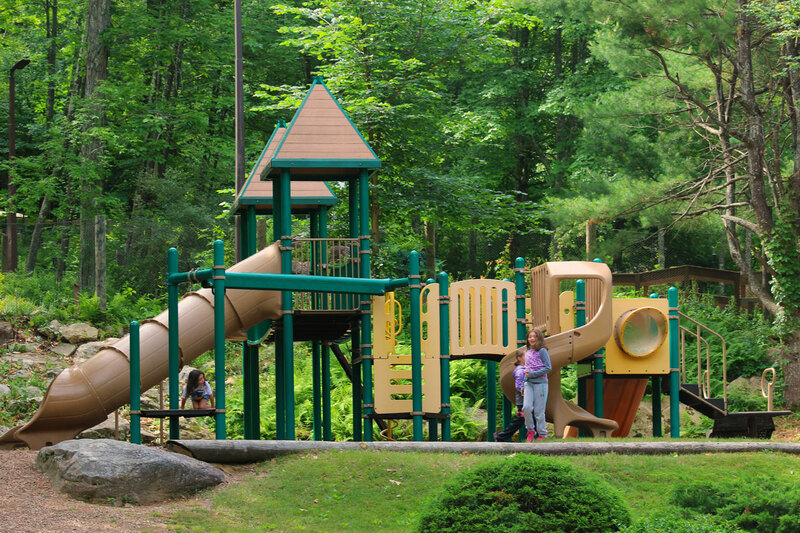 A play area designed with children in mind! Climbing, sliding and digging fun! ATM services are available in the Pine Acres Country Store. Laundromat – We offer on-site coin-operated washers and dryers. For your convenience, we have a limited number of four passenger electric golf carts available for rent. Please help us prevent the devastation of invasive species like the Asian Long-horned Beetle and DO NOT MOVE FIREWOOD! Visit DoNotMoveFirewood.org for more info.